Deal – This year celebrate your Holi festival with Bolywood Music, Water, Pool, Food, Drinks and lots of fun with International DJ in Mumbai Aquamagica and Imagica water park. 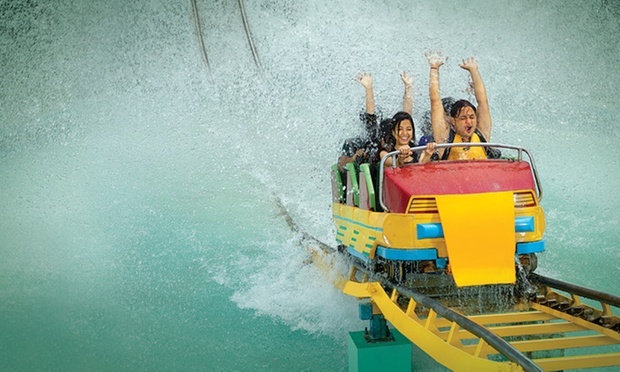 Get exciting offers at Aquamagica water park & Imagica theme park Lonavala Mumbai deals & Offers on Entry tickets for 21st to 24th March 2019. Students above 12yrs with ID Card Flat 30% off on College Tickets. on booking 5 & above tickets Flat 25% Off. ThemePark: HappyTuesday | WaterPark: WatAWednesday Additional 10% Off on deeply discounted prices. GharSeGharTak: Tickets + Meal + Car Avail 10% Off. Passport Offer: 4 times visit in a year (any park) Flat 10% Off. NOVOTEL STAY PACKAGE Flat 10% discount. Imagica is a popular amusement park located at Khopoli. It offers thrilling and entertaining rides for people of all ages with various types of fun rides. The architecture is vast and matches all the international standards of safety. It is spread over a sprawling area and offers excellent dining and shopping options. It is a great place where you can spend a memorable time with your friends and family.